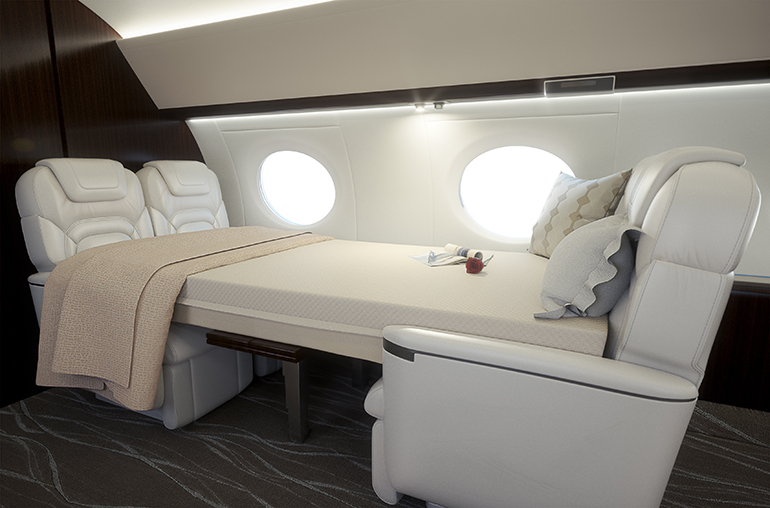 firm to ensure ultimate in aircraft comfort. Follow easy to use, step-by-step instructions to inflate and deflate your JetBed. During my many years of flying, one of the most difficult things to achieve on aircraft is having a comfortable place to get some sleep. Jetbed has finally satisfied that need. The Jetbed is light, easy to store and use, but most importantly they are really comfortable, including being able to sleep on your side. We at Clay Lacy are using them on many of our aircraft and are adding more all the time. I have been chartering jets for well over a decade now and last night was the first time that I was able to sleep all the way home from Minneapolis to Los Angeles. The JetBed is simply amazing. 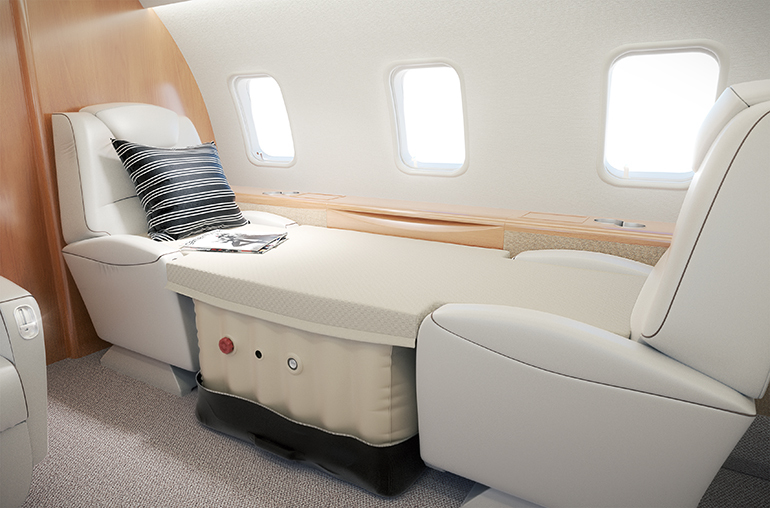 Why all charter jets don’t have these is beyond me.